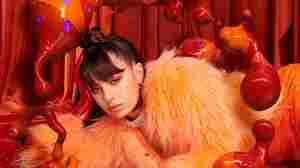 October 11, 2018  Charli XCX stars as Steve Jobs, all five Spice Girls and New Radicals' Gregg Alexander in her '90s-packed video. July 27, 2018  Charli XCX may be busy thinking about boys, but she isn't inviting them to the party. December 8, 2017  Carly Rae Jepsen, MØ and Caroline Polachek all appear on Charli XCX's second mixtape of 2017. Hear the first single, featuring Tove Lo and Alma. July 26, 2017  It's nice to know all of these cute boys will have jobs if the whole music thing doesn't work out. March 10, 2017  While we await the follow-up to 2014's Sucker, Charli XCX has released a mixtape that indulges in the margins of slinky R&B, syrupy hip-hop and bizzaro electro-pop. 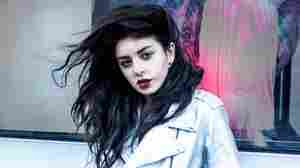 December 16, 2014  The 22-year-old U.K. star infuses her gleaming songs with punk spirit on her second album, SUCKER. The result is one of the best pop albums of 2014. December 14, 2014  Between the vocal hook in Iggy Azalea's "Fancy" and The Fault In Our Stars' soundtrack single, it's been Charli XCX's year. But it took some screams to create her sophomore album. A Rational Conversation: Is Charli XCX A Pop Star? July 2, 2014  Opportunities for the British singer and songwriter have not shriveled up, despite disappointing sales for her debut album. What could be her route to stardom from here?